Detective Broome is so obsessed with a cold-case that he visits the family every year on the anniversary since a man went missing 17 years ago. Megan is a suburban mom with 2 kids, a loving husband and a mother-in-law that all depend on her. She walked away from wild life she once had but she is always thinking about what would have happened if she made different choices. Ray is a talented photographer, his life now as a posing paparazzo for rich kids is far from the life he had as a documentary photographer. These three lives collide and secrets long hidden are revealed as another man goes missing. They find the past and present can be just a heartbeat away from each other. The lives that they have lived for the past seventeen years can vanish in an instant. Harlan Coben is not called the master of suspense without good reason. He brings the gritty and chilling thrills to the page like no one else! Megan bored with her suburban life thinks she can take a few steps back in the world she left behind but learns there are consequences for her actions. Ray is so unhappy, his life changed by one dramatic event, will he ever be a success again? Bromme still has feelings for his ex-wife/part-time partner and is dealing not only with a cold case but the fear an innocent man may have been sitting in jail for years. Coben has put forth a real puzzler this time and it was fun to read as all the clues came together. He has also created wonderful, rich, multifaceted characters, several in addition to the main three, including one that will steal your heart and two that could scare your socks off. He has also included real settings like Steel Park, and Lucy the Elephant in Atlantic City. I have read everything Harlan Coben has written and enjoyed them all. This is one of his best. The man has yet to disappoint me. 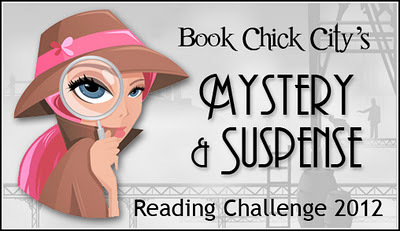 This novel is a page turner that you will not be able to put down. The twist at the end is a bombshell but I would expect no less from Mr. Coben! He definitely is the master!! Great review! I haven’t read many of his books but will your glowing review, I’m adding this to my TBR list! 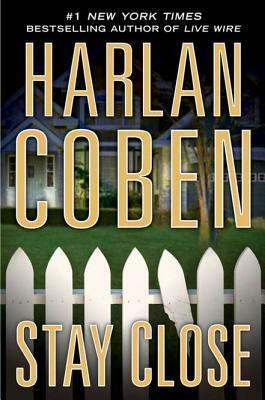 I love Harlen Coben! This one is definitely going on my TBR list. I love Coben too! Stay Close is on my 2012 Must Read list.